With the recent Windows 10 Fall creators update Microsoft presented us Fluent Design and I think that the new standard would look nice in Opera. Something must be done, because the current Reborn design is horrible. Of course, the preferred step would be to reimplement native themes on each supported OS. Wow, very nice! Would looks beautiful if they implemented this. For that, Opera should not design its own window buttons, besides using the Fluent Design API. 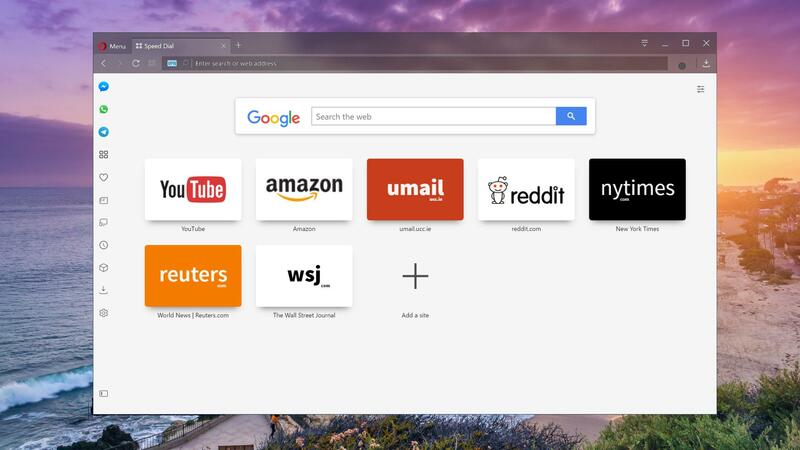 @kodasadness Opera should most certainly allow Windows 10 colored tabs along with your beautiful fluent design suggestion. Everyone else is doing it. I have a nice background picture on the Speed Dial page. I think that is nicer than a plain white background. The tiles are different colours depending on the site. I like the sidebar with the apps on it but I don't like how it's black on the white theme they should change that as well. Or even have it hidden where you hover over the opera icon and the bar appears when you need it?